Today I have completed my 3rd month of my Trek. I am sort of astounded with myself… especially as I have not become bored and impatient with the realized results. My overall goal is to continue my Trek, with its many tangents and side trips, for a total of one complete year. The intermittent and additional goals are a part of the whole to help me complete my overall goal – exercise for one year. On my Trek this morning I crossed the State line from Indiana into Illinois and I am greeted with the Illinois State Song. 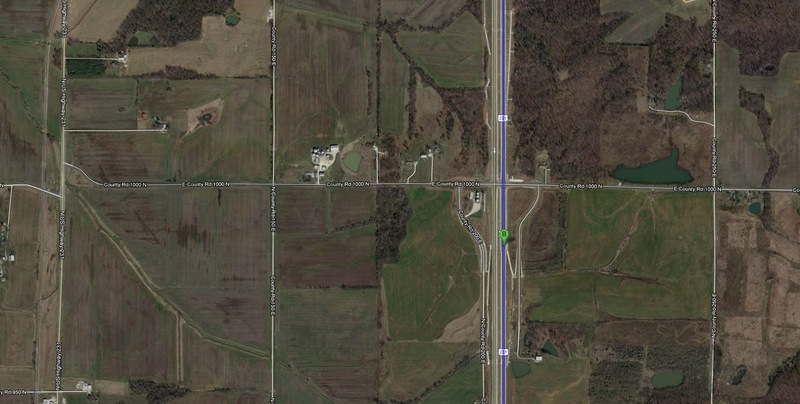 My 20.1 miles today moves me westward and I am located on US-52 W at 2600 North Road. Is this what are called “amber waves of grain”? I am now about 50 miles from my next Interlake address goal. This is the first one in Illinois. One thing I’ve definitely learned in the first three months of my Trek is that it is key to keep of record of a number of certain statistics. These stats are critical for me; no matter how obtuse they are, to maintain a handle on what I have accomplished and where I need to get to, in the fulfillment of my overall goal. It also makes sense to occasionally check my formulae in my tracking spreadsheets, to make sure that I take down the correct number. An anonymous writer responded to my recent Quilts SB query of Andy and my decision to possibly settle on a quilting style. The response that “the only reason you have to ‘pick a style’ is if you want to enter your work in a competitive show…” makes one hell of a lot of sense. I guess that I, we are still attempting to learn as much as we can from as many styles and experts that exist in the unfathomable world of quilting. From both the design and the technical perspectives it may sometime before we actually decide and settle in any one style. There is just way too much to try. 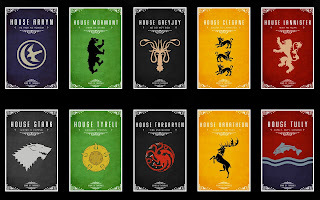 Game of Thrones - Kill or be killed. Freeze or get the hell in out of the cold. And you can't trust anyone. 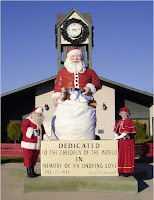 My Trek this morning of 20.1 miles has me taking a westerly turn at the town of Kentland, Indiana. 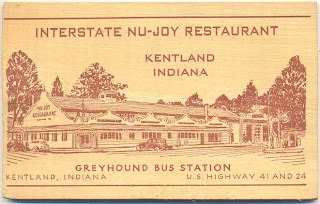 I am now located at US-24 W/US-52 W. Guess I missed The Nu-Joy Restaurant by 25 years when it closed down sometime around 1988. It had been open for only about 25 years. 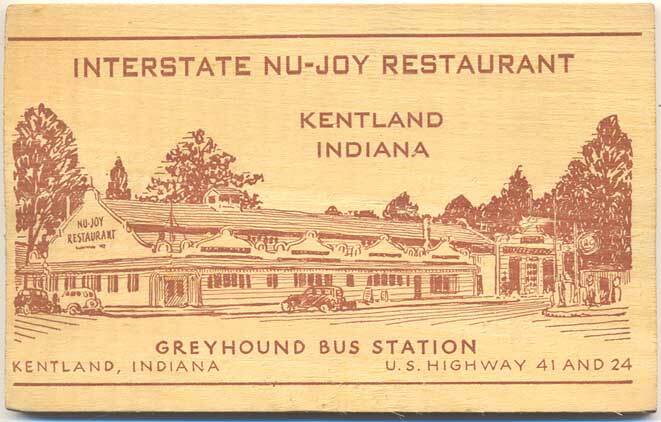 Check out the preserved Nu-Joy Restaurant menu at Amazon.com. Learned something new this morning… that one can find old documents on Amazon. My Physical Cycle of my Biorhythms is at the lowest point on the curve. No wonder I really did not want to get on my Schwinn 150. But I did. And I’m closing in on the Indiana / Illinois state line. My total miles to date, on this Polar Bear Day, are 1,371.1, and there is just about 68 miles to my next Interlake address goal. Here are the questions for today. 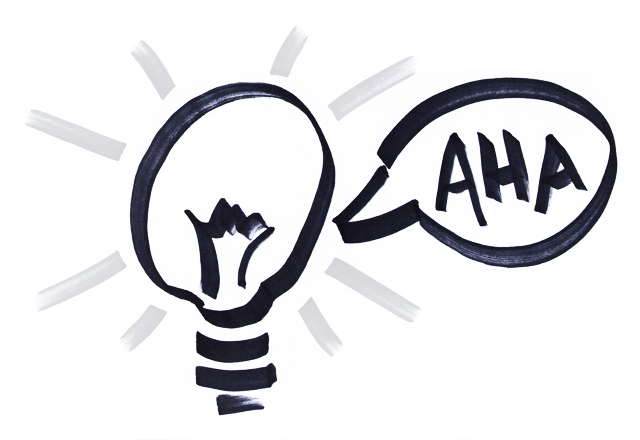 What if one is a generalist, a jack-of-all-trades, how does one concentrate on excelling? 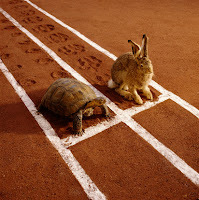 And if a winner, who is a specialist in one field, loses, how does s/he refocus and gather composure? There might be something about egocentricity and narcissism in the answers. Game of Thrones loses another main character. The Kingdoms are now on the precipice of battle, but it looks like that the lines are from all directions. I’m confused. 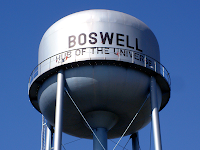 This morning my 20.1 miles on my Schwinn 150, ends on Highway U.S. 21 headed north, I cycled through the Town of Boswell, Indiana the Hub of The Universe. Say what? The Town of Boswell, population about 780, took on the cognomen “Hub of the Universe” when sometime in the 1930s, Edgar Burnette, the high school principal claimed and challenged that “Boswell is the hub of the universe, because you can start from Boswell and go anyplace in the world.” It stuck. Okay. I wonder what’s the moniker for Roswell, New Mexico? My total miles to date are 1,351.0. If my calculations are correct the total mileage of my Interlake address goal remaining is 4,688.5. The following is my tracking of my daily mileage - top line and belly measurement - bottom line, over the period of time since I began my Trek on my Schwinn 150 November 28. And the amaryllis are really blooming in the yard. Bella is home. 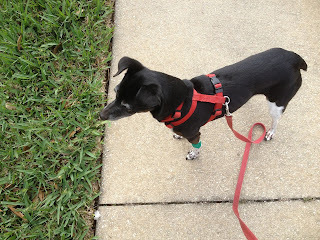 I am amazed at her resilience after all the prodding, puking, and drugs. Also I am dumbfounded at the amount of tests that were done on her. It really is amazing that her 11.4 pounds took it all. She’s still on a med and Pepcid AC for a week. And all the cardboard palm fruit and seeds are on their way to the dump, while the squirrels destroy my avocado seedlings. This morning I completed another 20.1 miles. I am still headed north in Indiana along Highway 63. 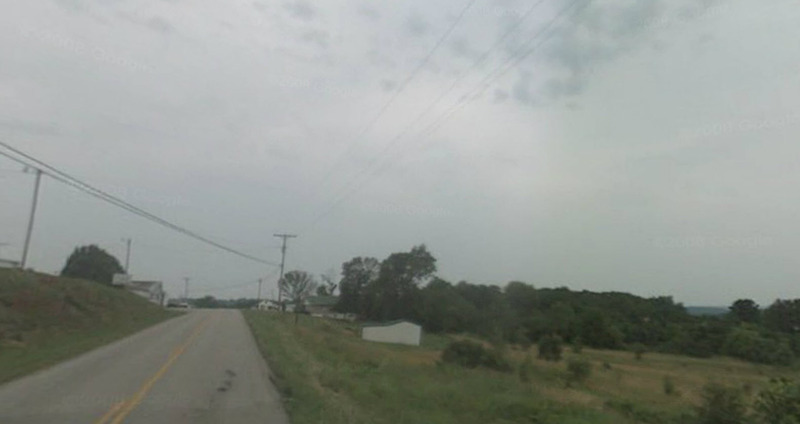 I’m at a point on the road just west of West Lebanon, population about 720. 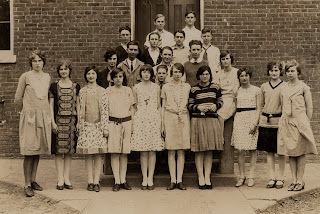 Seeger Memorial Junior-Senior High School, which serves the area, has almost as many students enrolled as the total population of West Lebanon. I have now completed just over 40% of my original exercise goal. Here are my stats, as accomplished on my Schwinn 150. Every time I hear the term “sequestration”, my word association skills goes into play. Sequestration – Equestrian, and I envision an amazing rider on horseback. 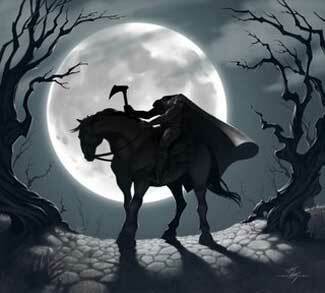 But then I’m brought back down to earth and thinking of Sleepy Hollow. I picture the showjumping of the Headless Horseman brandishing a sword or an ax. Next I see our illustrious members of Congress all geared up for a gathering ride, an Equestrian Sequestration… The only thing I cannot get past is the visual of all of them there elected buffoons prancing around “sans tête”, without heads. Is our Capital a dimensional Sleepy Hollow? "The mysterious event caused much speculation at the Church on the following Sunday. Knots of gazers and gossips were collected in the church yard, at the bridge, and at the spot where the hat and pumpkin had been found. The stories of Brouwer, of Bones, and a whole budget of others, were called to mind; and when they had diligently considered them all, and compared them with the symptoms of the present case, they shook their heads, and came to the conclusion that Ichabod had been carried off by the galloping Hessian. As he was a bachelor, and in nobody’s debt, nobody troubled his head any more about him, the school was removed to a different quarter of the hollow, and another pedagogue reigned in his stead." - Washington Irving, "The Legend of Sleepy Hollow"
Vet from Blue Pearl called this morning at 6 am to report on Bella’s progress. She’s doing “fantastically well”… but she is hungry. I’m waiting now for the next call and whether or not she will be allowed to come home. I am also awaiting the specifications of the building of our own personal apartment at the hospital… It will be padded just for us as we take in the rescues. 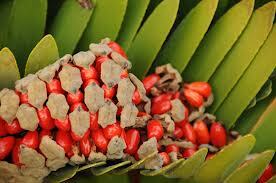 Job today is to clear out all the cardboard palm flowers and fruit and seeds. And now I am a wee be wiser and definitely a wee bit poorer. 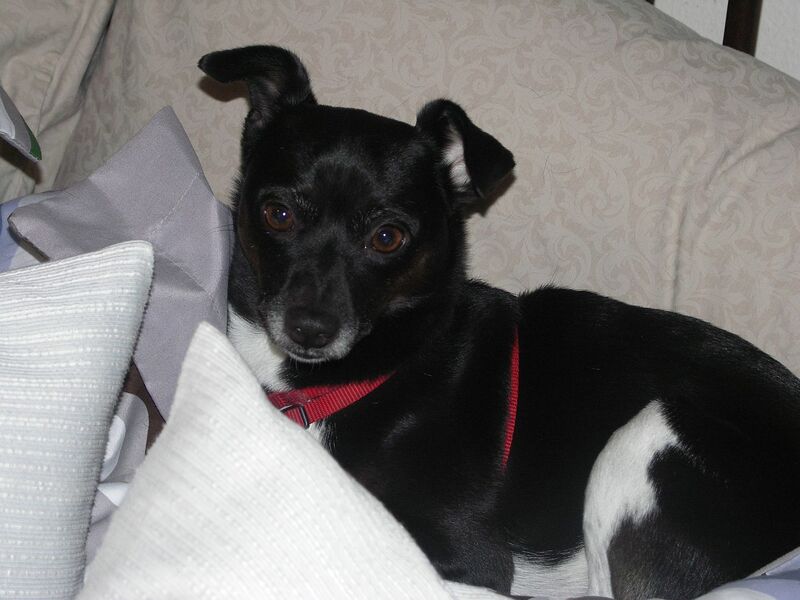 Check back for little Bella's status. Game of Thrones’ theme keeps echoing in my brain. I need to find the music to see if I can replicate it on my piano. The whispers and lines in the sand are exponentially growing in Episode 5, but who trusts who? It was a long night last night. Had to rush Bella to Blue Pearl Emergency. She ate a fair bit of toxic cardboard palm fruit and seeds this afternoon, while I was out planting avocado trees. She's in critical care unit and has to be monitored, flushed out, and dosed with charcoal to avoid liver damage. Latest prognosis is that all is normal. Under observation for 24 to 48 hours. Looks like I need to gather all and pitch out the newly fruited pods and seeds. This morning, without taking time to sleep, I decided that I needed to cycle on my Schwinn 150. I completed 20.1 miles… and I reached another new goal. My total miles are now 1,310.8, just shy of 40% of my original Tampa to Seattle goal. I’m located this morning north on IN 63N/County Road 100 E. I just passed East County Road 600 N.
Last night supper, before the Bella incident, I made Soupa krema me araka – Cream of Pea Soup; Pilafi me kasious – Cashew Pilaf; and Gavros sto fourno – Bake Anchovies… but I substituted smelt and chicken for the anchovies. 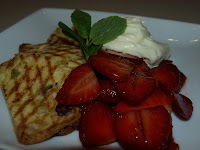 I made two dishes of the Gavros sto fourno. Mise en place took some time, this my first venture in Greek cuisine. 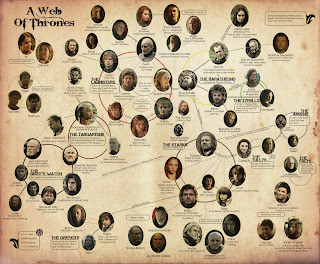 The current episode of Game of Thrones, Episode 4 heightens the drawing of allegiances in the sand. Characters are being set up against each other. And Ned Stark introduces research of a tome, a book of genealogy. And Jim’s Trek is still on the Schwinn 150 and today I slipped and cycled 20.1 miles. 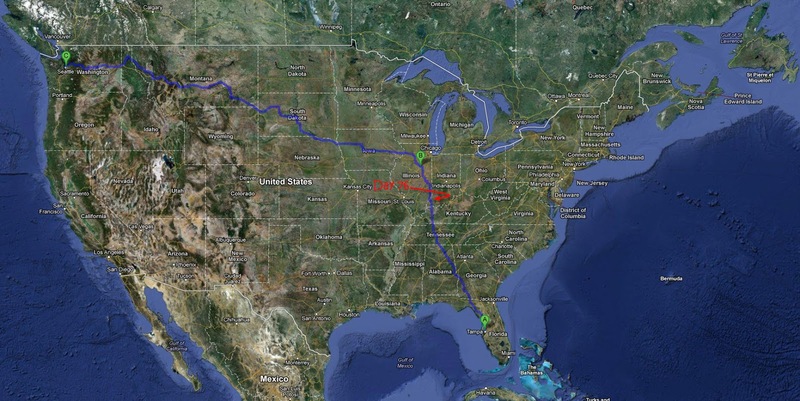 My calculations now work out that I will hit my direct Tampa to Seattle goal in 100 days. All-things-being-equal and with the Interlake address goals I won’t be in Seattle but still on route. No much on the thought docket today. I’m just plain ole boring, but my Trek continues. 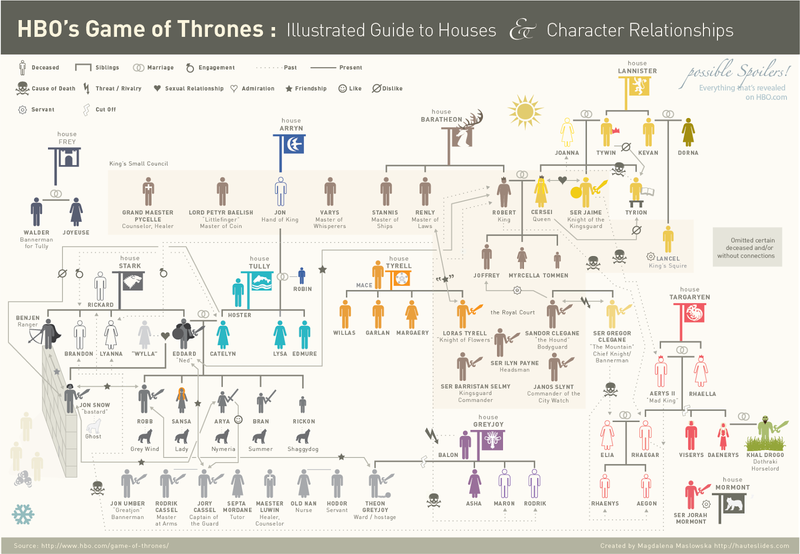 Game of Thrones, Episode 3 – Birth right is pure luck, destiny is written. And the Ravens fly back and forth, back and forth, the black carrier pigeons. 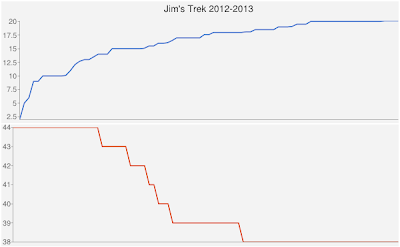 Day 81 – Jim’s Trek – 20.0 More Miles – Losing is Winning? This morning I’m still cycling on my Schwinn 150. 20.0 more miles completed on my Trek to Seattle. My total miles as of Day 81 – 1,270.6. I have now dropped 8.0 pounds, one for every 10 days of pedaling; mind you I seem to be eating more. On my Trek, my mind is preoccupied with the episode of Game of Thrones, and I like it that way. It definitely makes the hour plus to go by quickly. But my thoughts continue think about the elements of personal feelings in winning and losing. This sort of turns into, excluding the highs and lows that immediate, some sort of life lesson, I think. I’ve been reading, as usual, and linked to an article, on How To Advice.com, by Richard Vegas, and found a couple of thoughts that, in some way, provide solace. Makes sense, and which in turn would lead to the encouragement that the feelings of depression, the short lived periods of perceived anguish, could be a natural process of the learning curve. Episode 2, Game of Thrones – Seems that everyone is on horseback going somewhere, and Joffrey is definitely a little twit, not to be trusted. And today is Happy Margarita Day. Okay, I have to ask the question. What do you celebrate on Margarita Day if you don't drink? Work continues on Cosmos’ Moon and the design for Phidias Shrugged has been drafted. Check Quilts SB for updates. Day 80 and counting. 20.0 miles and still cycling. I am now just about 38% of my way to my destination of Interlake Avenue in Seattle, Washington. And my blood sugar registered 100 this morning. I’m still on US 41 headed north. I can’t wait until my Trek on my Schwinn 150 takes a westerly turn. I’m a short distance south of Shelburn, and north of Sullivan, Indiana. I’m following, and need to be careful of, a number of transport trucks. I can just imagine the truck wind-wake. Got to stay on the road. Only 189 more miles to my next Interlake address goal. The topic of winning is a focus of my thoughts these days. And this is not to be "it is not whether you win or lose, but how you play the game" type of discussion. I am thinking about the thought processes of why one may feel dejected and feel so bad when s/he loses, and ultimately does not win. Is it fixated in the recesses of our brain that "if you win you will feel damn good"? Why is there such a swing of internal and external emotions between winning and losing? I'm not thinking about a favorite team or person at some event, to which you are only a couched observer, but I am trying to get my mind around the thought stream that losing can be felt and assimilated to some sort of rejection. A rejection that relays the intrinsic message that you are just not good enough. Good enough for what? I'm not investigating or thinking about what we are taught. I'm not going to the point, at this stage of my life, that it has to do with the way that each child is brought up. I am trying to understand the feelings of elation in winning or the feelings of dejection from losing that I sometimes, and continuously feel and encounter after living this many years. Am I a competitive person? I think I am, and therefore should I not learn the elements of how to win and how to lose... even how to get second place? I know that I can experience an extreme high when I succeed, when I win. And then I feel despondent and morose when I do not. Why? I chose to "play the game"? I could choose to not enter, decide not to compete, not go after the brass ring, but I don't. Is there some way that I can prepare myself for the emotional upswings in either case, whether I win or lose? I am definitely thinking about this for the next little while. Waiting for the next installment of Continuum On Demand. 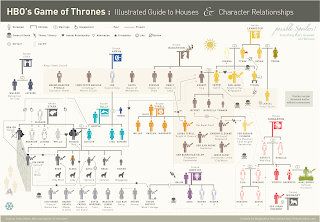 I then decided to watch Game of Thrones – Episode 1 – Snow, blood, snow, blood, heads, introductions, plots and sub-plots introduced, Dire Wolves, snow, cold, new languages. 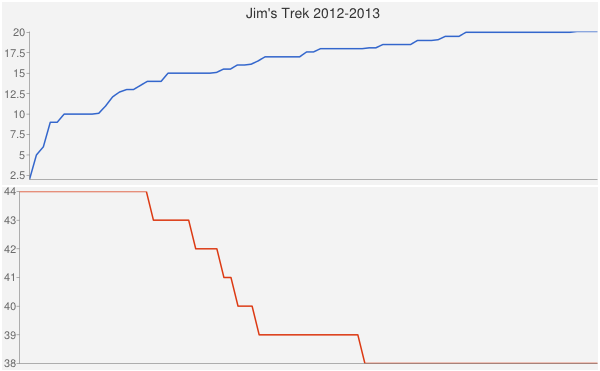 Day 79 – Jim’s Trek – Once Again 20.0 Miles – And What Do I Do When The Power Goes Out? Well today I completed my regime of 20.0 miles, just barely. No, I wasn’t tired nor was I having a blah morning. Our esteemed, tongue-in-cheek, electric company blew a fuse. Someone at TECO must have read my Jim’s Trek on Day 77 expounding the attributes of Battery Day. And I am sure someone at the glorious power company wanted to test my moxy as I depend on electric current for everything including my Schwinn 150. It definitely wasn’t a battery moment. I was merrily cycling through Indiana engrossed in a Tim Minchin concert at the Royal Albert Hall when the power died. I had cycled 16.0 miles. I still had 4.0 miles to go and I wanted to get to see the whole of Tim’s concert. He’s a tremendous pianist. And then the power came back on. I completed my 20 miles. 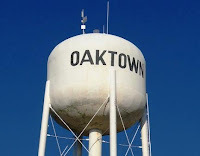 I am located on Highway 41 just south east of Oaktown, Indiana. My miles to date now rack up at 1,230.6 and I’ve had to move that thing that goes in the holes on my belt to the last one. Can’t have my pants falling down. I did find a Power Electricity Energy Money Saving Box on line. According to the description it is a new-type intelligent electricity saving device adopts the latest and high efficient technique of Germany to save electricity. 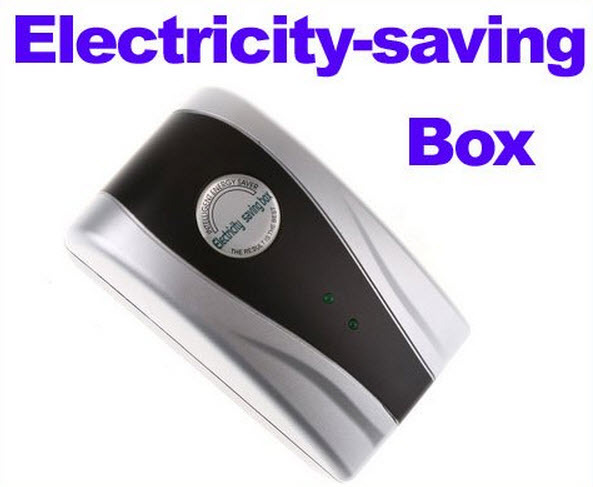 It saves energy sources efficiently and environment-friendly, stabilizes the voltage, balance the current source, prolongs the life of electric devices. So easy to use, no need maintenance. And it is made in Guangdong China… and it only costs US $5.52. I still do not know what the hell it is and it appears that the comments from the Feedback, those that bought cannot make up their minds. But you can plug it right into a regular socket. 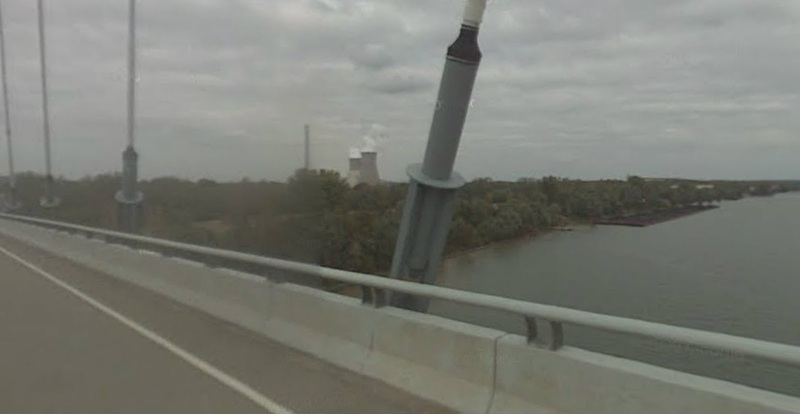 My question – If the power company turns off the power how does this thing save electricity? 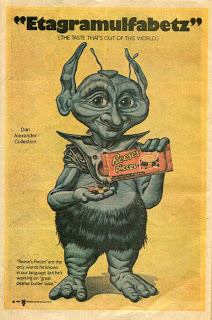 And I can just hear the “just wait” on the K-Tel television advertisement. And today is Love Your Pet, Pet, Pet, Pet, Pet Day… Of course as each of The Pack reads this I just want to make sure that each knows that s/he is included. My Trek on my Schwinn 150 continues with another 20.0 miles. I have now completed just about 37% of my original goal to cycle from Tampa to Seattle. At my current rate I may have finished my first goal of 3,301 miles by June 2, 2013… just in time for the start of Tampa’s Hurricane season. This morning I headed north on IN-61 and then took a north east turn on IN-241. 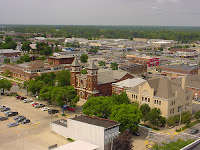 I passed through Petersburg, Indiana and my location is somewhere between Vincennes and Washington. 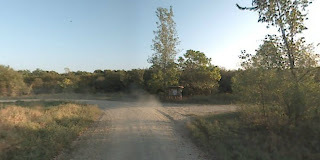 Sun is shining and I headed towards Burnett Road. Farmed fields are on both side of a quiet country road. Miles to date total 1,210.6. The US National Confectioners Association declared this February 19th birthday to be “Chocolate Mint Day”. WikiHow presents five steps to celebrate this day. Calories, chocolate, and mint. Today is also Single Tasking Day. Breathe and take it easy. New Continuum episode today, number 106. The gist: Corporate CEOs fixed the 2010 bank crash and lined their own pockets. Even with On Demand there are too many commercials to fast forward. The piecing process of Cosmos’ Moon is now in progress. And the design for a new quilt based on 0.618 has been drafted. Stay tuned to Quilts SB. On Log Creek Road, aka County Road 1300 South in Tennyson, Indiana is my next Interlake address goal. 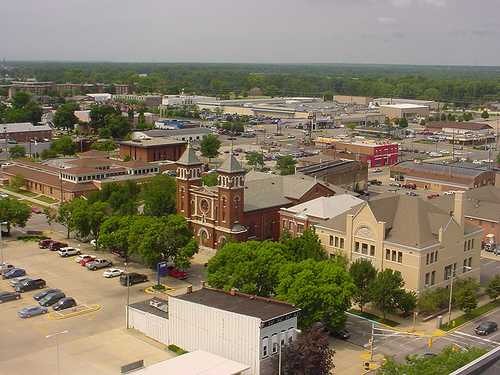 It is the Indiana location of Interlake Mecalux Inc. 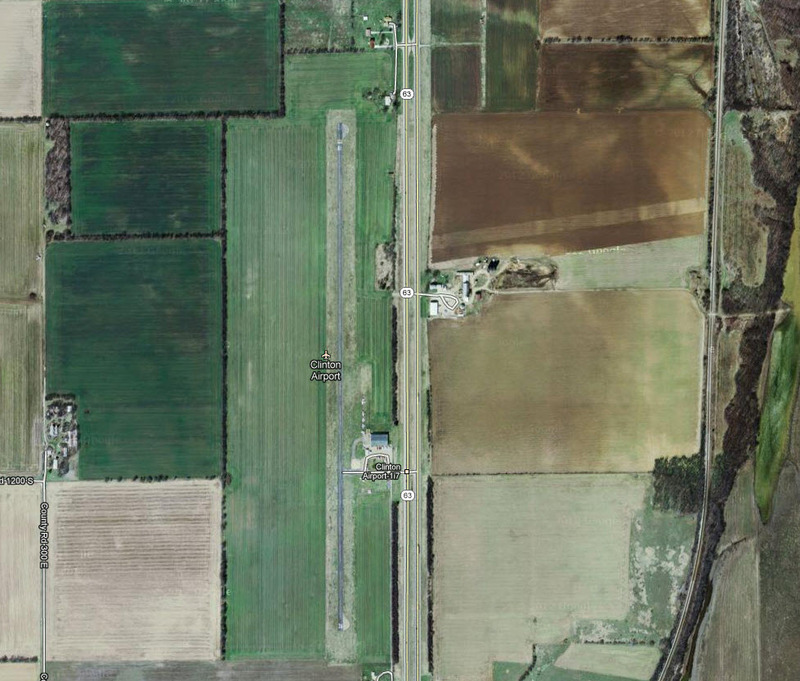 Warehouse Solutions, but all I can see on Google Maps are dirt roads. I have reached my 10th Interlake goal… I wonder if a physical goal really exists, in this case, that is. Can a goal without substance count? I have completed 1,125.2 miles to get to and succeed to number 10. And I keep trekking; I’ve gotta keep cycling on my Schwinn 150. I now headed north on Indiana 61 to my next Interlake Drive and I’ve only got 2,110.4 miles to go to get to my Seattle destination. Supper last night was a complete experiment. Slivered pork and fresh mushrooms, tomato sauce on roasted spaghetti squash… and a side turnip, apple, carrot, and onion slaw. Dessert – Toasted Panettone covered with marinated strawberries and mascarpone cheese. I didn’t take a picture, but I found one similar, and ours looked and tasted fantastic. And today is Battery Day… We’re supposed to celebrate and recognize just how important batteries are to our lives. Works if you have a pacemaker, and a flashlight, and watch, and a remote control, and a scale, and a cell phone… Wonder what we would do if did not have any more batteries? I'd be reading a lot. Fabric is now being sorted for Cosmos’ Moon. This one will prove very interesting, if I say so myself. And a new design has been completed for Whirling Rectangles. Stay tuned to Quilts SB. 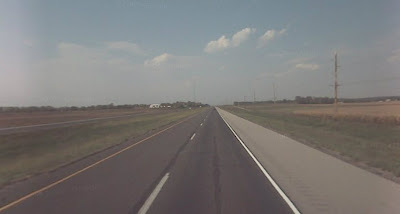 Today I am headed west along IN-68 W to Scales Road where I will be taking a right turn and heading north. 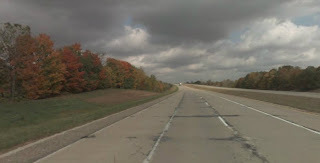 Indiana-68 W is a nice quiet road to keep cycling on my Schwinn 150. My next goal is only about 5.0 miles away. And then my next goal is somewhere in the vicinity of 265 miles north; a quick point on my Trek to Seattle. My total miles on Day 76 are just about 1,171, and I’m now comfortable, sort of, with my 20.0 miles per day. It is taking me about 1 hour and 8 minutes daily. The following Google map is a quick view of my Tampa to Seattle Trek. The map does not include all my side trips to each Interlake address goal. I've indicated approximately where I'm at on this Day 76. I’m working on the Interlake tangent map. Just watched a couple of TV shows this morning during my Trek. I need to find a movie and/or serial to totally preoccupy my small brain. I have completed the draft drawing, on canvas, of Cosmos' Moon. Watch for updates at Quilts SB. 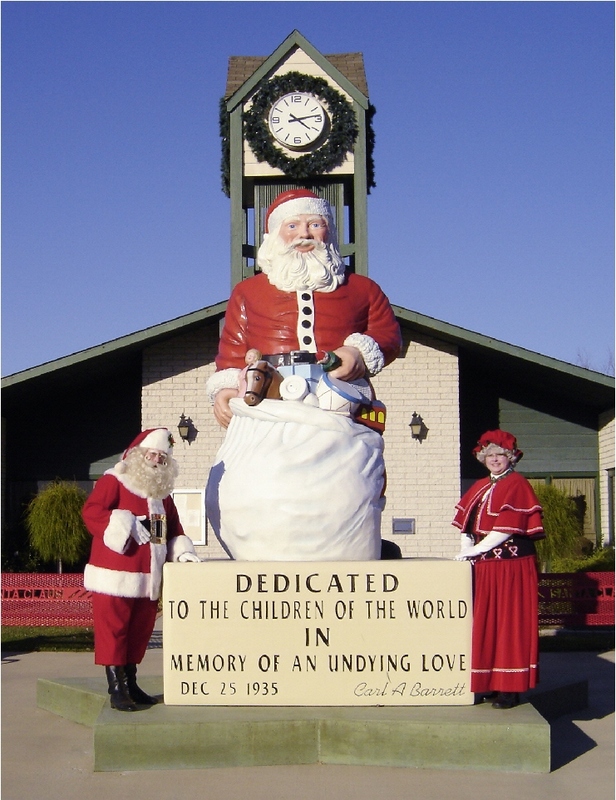 And right now I am just 10 miles from the town of Santa Claus, Indiana, population about 2,500. I could stop over and deliver my list. Maybe. Today is National Almond Day… And yes there is an Almond Blossom Festival held on the last weekend in February in Ripon, California. Close enough. And if you’re in New York City you can get your almonds to celebrate at a number of Nut Shops. I finished watching the second part of The American. Definitely a Clooney cat-and-mouse thriller… but I’m not sure that I was able to hone in on the reason for the story line. Stay tuned for my retorts on the next movie and or serial. Today My Trek on my Schwinn 150, another 20.0 miles, takes me close to another town on the banks of the Ohio River, Lewisport, formerly known as Little Yellow Banks. 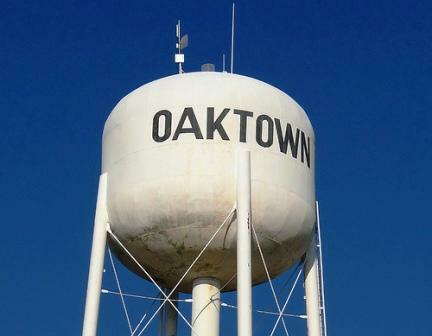 Population is about 1,670. I’m on US Highway 60 and headed in a westerly direction. And I’ve come to the tremendous conclusion that the marketing and TV advertisements of exercise equipment from corporations are focused on, and yes I am not thick, making a fast buck and keeping the normal human being in a constant state of debt. What I am about to write is not directed at the makers of my Schwinn 150 because I did not have any vision of what I could be if I were to purchase, beg, borrow, or steal my exercise and stationary bicycle. I acquired my Schwinn 150 to succeed at setting myself on a daily exercise routine. The advertisements seem to be more directed at me as of late, as I have been cycling these past 74 days. I have now lost a grand total of 4.4 pounds. Definitely not the indicated totals, or percentages, as presented by the “I lost 125 lbs” paid model and spokesperson, “in just three months on my new ABC working machine.” And yes I know that there is the qualifying text, which of course is so, so small, and is flashed at a speed of light that by the time that I can focus my eyes it has disappeared off the digitally enhanced, sharp and clear TV screen. Obviously the whole essence of losing weight is not only one thing. It is a program of a number of fundamental and sensible processes; exercise; diet; commitment, and relaxation. I suppose I could have lost a lot more weight if I starved myself and continued on my daily regime of 20 miles. I find that I am eating more, obviously to return back the calories and carbohydrates that I have sweated off. But I didn’t get suckered in to one of the TV sales pitches. I now have to re-educate myself as to my diet, to eat properly and with a considerable goal intended direction. I guess it just takes me a wee bit longer than the normal person the figure this out. I think my commitment is in place, next is my relaxation. I have to wait for On Demand to put up the next episode of Continuum. And so I decided that I would start watching a movie this morning; watching it for the duration of my 20 miles, pause, and then start it up again the next day. 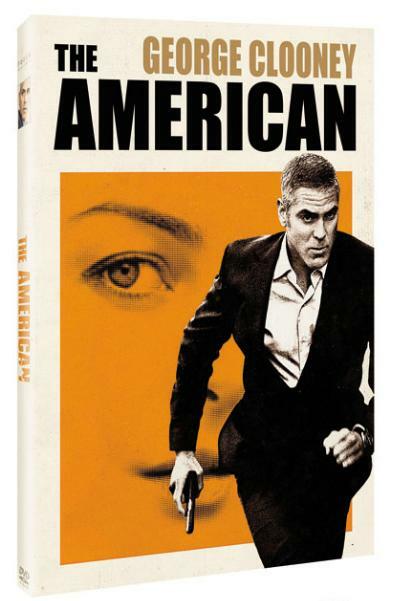 And so I began the 2010 movie The American starring George Clooney. The movie has an immediate start but then slows down. It is at a pace that I can “pat my head and rub my stomach and walk” at the same time. I do like the idea that he, George Clooney, travels a fair bit through rustic, scenic, and quiet parts of towns and country side of Italy. On my Schwinn 150, at times, it feels as if I’m keeping pace with him. And then I paused. To be continued. Yesterday I bought a bottle of BLK, Blackwater. Yuuch. Looks like flat cola and each time I took a sip I had the mental vision of dipping and refilling my flask into a bottomless, murky, and muddy river. I’ll pass. My apologies to the Doobie Brothers. I now have about 47 miles to my next Interlake address goal. My Trek’s 20 miles has me on US 60 Highway somewhere near Cloverport, Kentucky on the banks of the Ohio River. The recent population is somewhere in the vicinity of 1,300. On my Trek on my Schwinn 150 at times I seem to go back in time, especially with my work on A Genealogy Hunt… and I go looking. 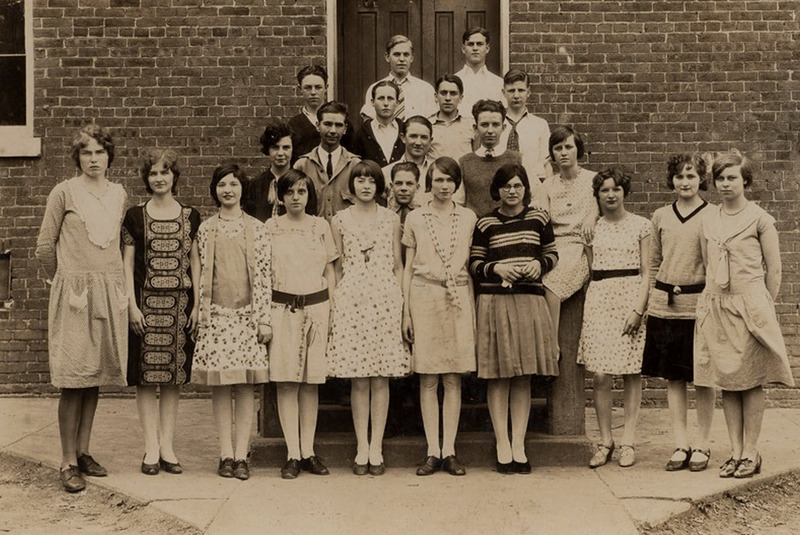 The inserted image is of the 1928-29 Cloverport High School Sophomore Class discovered at the USGEnWeb Archives Project for Kentucky. Wave to the cyclist as he passes by. Total miles to date 1,110.6 and just about 67 miles to my next Interlake goal. Decided that I’ve got to stop eating… I don’t mean that I need to fast or starve, but I find that with the cycling I’m eating one hell of a lot more, all the time. I decided that I better get back to my Asian cuisines. 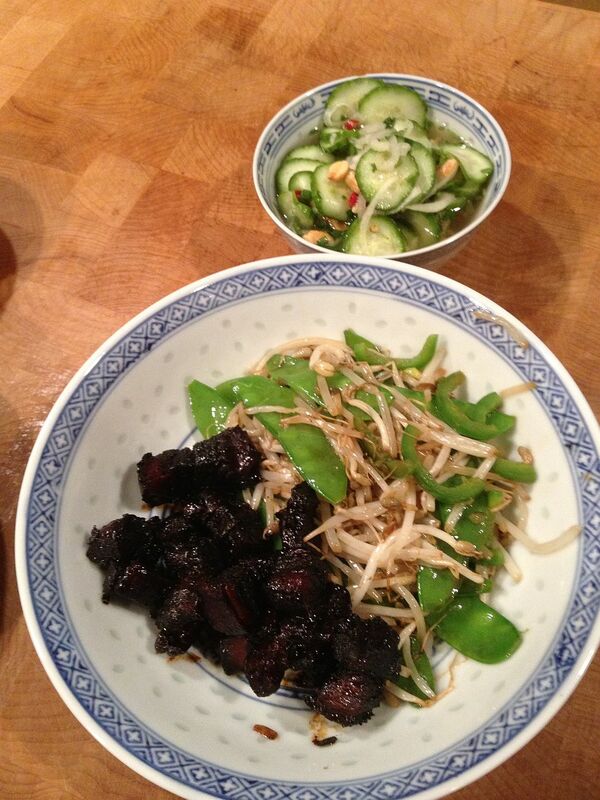 Last night I made, for supper, Dong Po which is marinated and braised Pork-belly, with Stir-fry snow peas, bean sprouts, and jalapeños and a side Thai cucumber salad. Damn was it good. Invitations are in the mail. This morning I couldn’t find the next episode of Continuum. I began a lecture series – The Joy of Thinking: The Beauty and Power of Classical Mathematical Ideas. Yup, I’m still a nerd… The first lecture – Great Ideas that Bring Our World into Focus was an introduction… Boring to some, definitely not as fast paced as Continuum. But, and through the 30 minutes of the lecture, I kept thinking of my hidden agenda as an application to my Quilt SB designs. Okay, Okay even at my age, I still have to keep learning, exercising my brain and body. 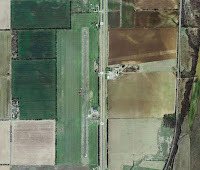 Today I’m headed northwest on KY-86 W toward Henry Head/Jesse Priest Road. It’s another 20 miles on my Trek on my Schwinn 150, and I’m still on my way. I’m now just about 87 miles from my next Interlake address goal. Not much to write about today… Just getting my Trek done and checking what I need to do. Continuum is back. No more Upstairs Downstairs. The episode of Continuum is based on the time paradox of what would happen if something in one’s past changed, would it affect something in that person’s future. Not sure, if this episode of Continuum answered the theory. I think winter has by-passed Tampa this year. The Amarylls are beginning to bloom in the front garden and the oak trees are filling out. Not sure if this is positive or what, but allowing my mind to be preoccupied with a visual stimulus of a serial on the TV certainly diminishes the boredom of the effort of the actual cycling on my Schwinn 150. Today I completed another 20 miles. But I haven’t as yet completed it in one hour. I’m still a number of minutes over. My goal is to be consistent at 20 miles in one hour. And yes, I gotta speed up. Today I’ve made it just past Long Grove Road along Hardinsburg Road. I believe I’m near someplace in Kentucky called Cecilia. I think it is one of those types of places that if you blink you've actually passed on through. My miles to date are 1,070.6, and I’m still going. My belly is still at 38”, 6 inches less of when I started 71 days ago. I won’t tell you my goal in this area, but I’m just wondering if I will ever hit it. Not bad exercise for a 61-year old. And today, Tuesday, February 12th is Extraterrestrial Culture Day. This celebration is officially acknowledged in New Mexico… you know the place where Roswell is located. But I have a mental issue with this one, not New Mexico of course, but with the fact that it is the celebration of the culture of extraterrestrials. Did I miss the memo that we had finally encountered alien beings? Was I asleep? Who signed up for space being culture? Wonder if this is somehow in tune with Mardi Gras in New Orleans? Just asking. And I have another quandary. I understand the Red Beans and Rice, Jambalya, Chorizo and Seafood Gumbo for the Mardi Gras table… But what will I serve for an Extraterrestrial Culture Celebration? The only thing I can find is a recipe for an Extraterrestrial Cocktail – equal parts of Bailey’s Irish Cream, Midori Liqueur, Vodka, and High Proof Rum. A couple of these, and I will be cycling to Mars. Well I’ve traveled through, on my Schwinn 150, the final contracted episode of Upstairs Downstairs. Germany has invaded Poland and I want more of the serial. Guess I’ll go back to my next episode of Continuum. The top to Blumish Two is now complete, We are now machine appliquéing the navy blue strips to the top. Check out progress at Quilts SB.